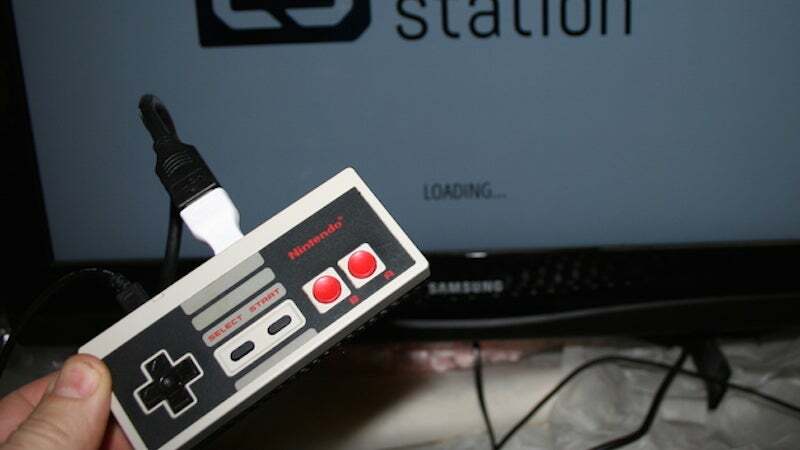 We've already seen a Raspberry Pi Zero get stuffed inside an Xbox controller, but if you're looking for a project that's a bit more retro, then a NES controller might be more up your alley. All you'll need is an old Nintendo controller and access to a 3D printer (this should be a pretty cheap mod to get printed somewhere). Essentially, you'll just crack a Nintendo controller in half, put the Pi inside, then wire the Pi into the NES buttons. It seems like the back cover of the Nintendo controller's a bit too small though, which is where 3D printing comes in. Browsing on Thingiverse revealed a couple different 3D printed options, including this one that keeps things super simple and this one that fancies it up a bit. Either should work just fine and once you're all set up you'll be able to take that sucker with you anywhere. Head over to Thingiverse for the different options as well as images for how to wire everything.